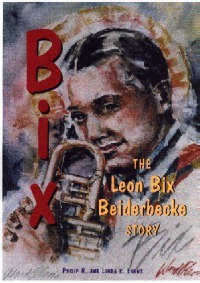 Bix, The Leon Bix Beiderbecke Story is the most complete and comprehensive history available of the legendary jazz genius. A Bio-discography with over 250 photos with Bix in over 100. All known letters written by Bix are transcribed in the text. Past published errors are corrected, and a wealth of information is presented. We are sad to announce that Phil Evans has recently passed away. A link to his obituary is below.